Last year I was skipping off to the Washington, DC Jewish Literary Festival, but in lieu of that, DC indie bookstores do provide! 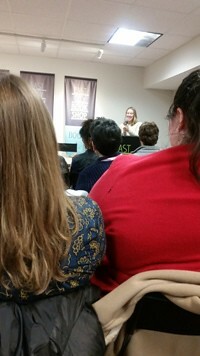 I attended a packed house on Friday, March 9, where Chloe Benjamin spoke about her novel, The Immortalists, at East City Bookshop. 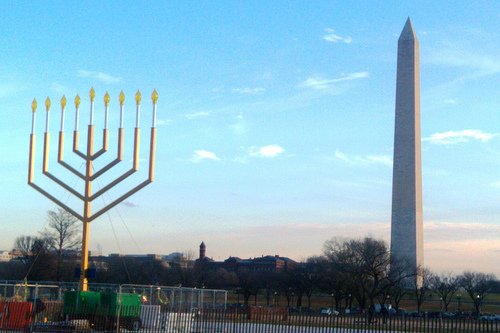 Widely popular in the secular world, this novel isn’t ostensibly Jewish. I even heard a couple of people talking in the signing line about their surprise at the lack of it. Still, the main characters, the Gold siblings, are from the Tribe, and apparently Judaism manifests in several ways. One of the book sections that Benjamin read featured the protagonist recalling her father lighting Shabbat candles. I was drawn to Judaism in the context of this novel for multiple reasons. While Christianity places great focus on life after death, Judaism’s gaze remains fixed on olam ha-ze: this world. I was curious about how the siblings would approach their mortality without the imaginative “escape hatch” of heaven. The novel follows the young Gold siblings on a portentous date in 1969 where they each receive news about their deaths. From there, it splits into four parts where we follow each of the four protagonists throughout their lives. Benjamin–and book critics–point out that there is no magical realist conceit beyond the original prophecy; the focus of the book is to probe how and why these people make the choices they do, and what “life” inevitably means to them. Bubbly and effusive, Benjamin makes her preoccupation with these existential issues sound more relaxed than dire. At one point, when reading from a section featuring a gay male dancer with the same name as her mother, she broke out into constant laughter. Her grandmother was in the audience, though she claimed that she was more concerned with what the rest of us must be thinking of this tableau. Afterwards, she cheerfully answered several questions, ranging from her writing process and reader tastes to book spoilers, which she deftly skirted while still giving new insights. This is Benjamin’s second published novel, though it is the one that’s propelled her into the spotlight. I look forward to seeing where she goes from here! This entry was posted in Social Events and tagged Just for Fun. Bookmark the permalink. ← Celebrate Purim in 5778!